We understand that legal issues involving your family are overwhelming and stressful, and we give your case the individual attention it needs to reach the best possible outcome. We strongly believe in treating all clients with respect and care, which is why we aim to give our clients the benefit of always being able to reach our office, and offer reasonable rates for all matters, including discounts for active duty military, veterans, and first responders. Rowe Law Firm offers local representation from personable lawyers for clients in Harris County, Montgomery County, Galveston County, Fort Bend County, and all surrounding areas. We have the experience necessary to advocate for your needs and develop a strategy with the best chance for success in your case. C‍‍‍all us today for more information, or schedule your appointment online for a consultation. There could be critical timelines that impact your case, so don’t delay. 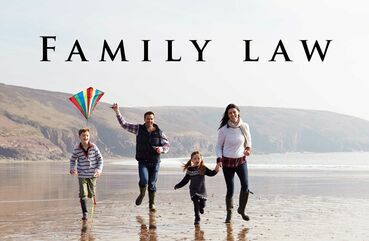 We've worked with individuals and families through many types of family law matters.